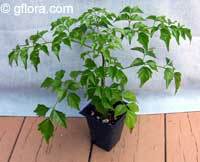 A popular houseplant, this tree makes a handsome outdoor specimen in mild or cool climates near the coast and has some drought tolerance once established. 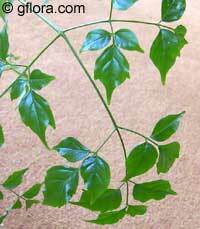 The large, compound, twice-pinnate leaves are very distinctive. A mature specimen has pure-white or cream long-tubed flowers that are said to be carnation-fragrant. 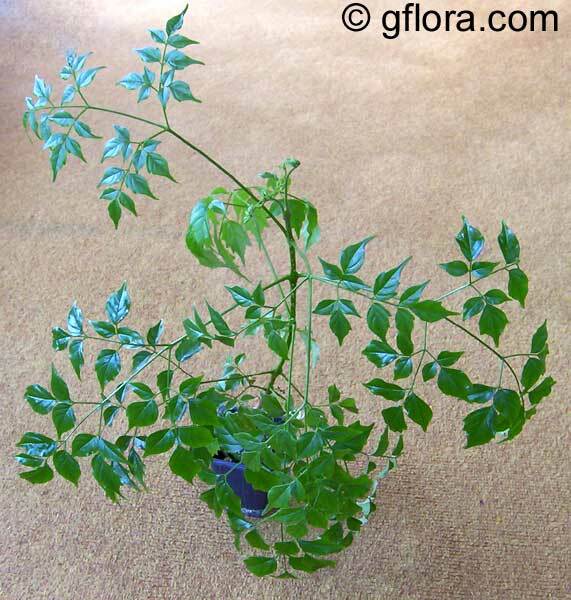 A young plant tends to have a single vertical stem with a leafy crown of bi-pinnate, shiny leaves. 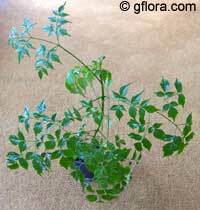 As it matures, more branching occurs and there may be several stems from the base. Clean and handsome, the foliage has a subtle sub-tropical look and combines well with other plants of that appearance. The plant is easy to grow. Moist soil with good drainage. Provide bright light, but avoid any direct sun indoors. Prefers warm conditions, minimum 50F in winter. Water moderately, but do not let dry out between waterings. Can tolerate low humidity.